As it takes shape, the Lender Center for Social Justice will host activities and programming, including interdisciplinary conversations related to issues of social justice and collaborations with other University units to promote a robust dialogue about issues of justice, equity, and inclusion. Each year a faculty member will be named a Lender Faculty Fellow and be provided the support to lead a two-year project in collaboration with five Lender Student Fellows. 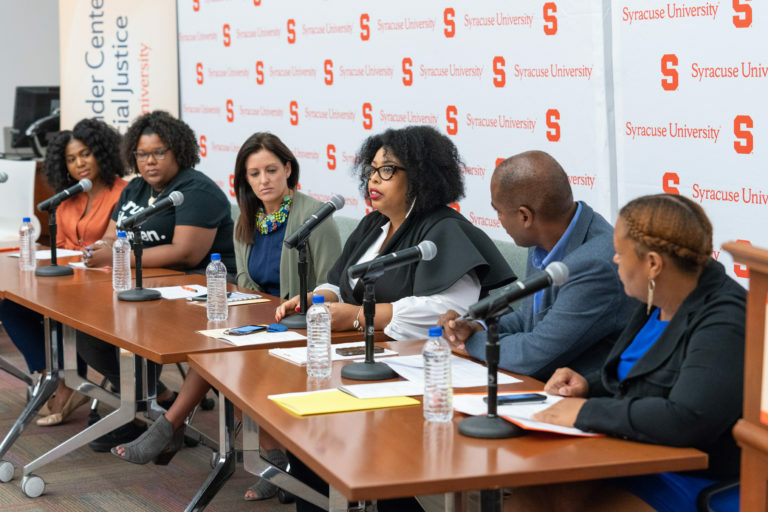 The Lender Fellows team will work with individuals and institutions from across campus, the community and nation to develop and propose innovative ways of engaging contemporary social issues and to promote the pursuit of social justice. The Lender Center for Social Justice seeks applications for its inaugural faculty fellow. The Lender Faculty Fellowship supports a two-year research agenda to critically and creatively explore contemporary social issues, develop innovative approaches to these problems, and implement useful and sustainable initiatives. The selected faculty fellow will work with a team of student fellows to create an interdisciplinary research team focused on the proposed social issue. The Lender Symposium will serve as the culmination of the two-year projects with invited national guests and experts participating in a thorough discussion of the research and proposals developed by the Lender fellows team. Faculty applying for a Lender fellowships will be dynamic and accomplished scholar/teachers who are committed to an agenda of engaging issues relevant to social justice. They will be expected to foster an interdisciplinary team that will simultaneously encourage student learning and growth and the pursuit of concrete engagement with real world problems. Pursue additional external sources for funding and support of the project. Support from the Lender Center staff. A letter of support from the faculty member’s chair/director, sent to lendercenter@syr.edu by 5:00pm, February 15, 2019. Supplemental materials as appropriate, either submitted with your application, or sent separately to lendercenter@syr.edu by 5:00pm, February 15, 2019.